Israel - The IDF rabbinate has developed a Shabbat-friendly phone that will allow soldiers to speak on the telephone without desecrating Shabbat. The military magazine B’Machaneh reports that hundreds of the new devices will be distributed on IDF bases in the upcoming months. The phone makes use of bluetooth wireless technology, and allows for fast dialing. Soldiers can answer calls using an earpiece attached to the device. While the device makes use of some technologies that would normally be prohibited on Shabbat, the technologies are used in an indirect manner, making use of the phone permissible. The devices will replace an earlier phone designed for use on Shabbat, which was expensive and could be used only on select lines. The previous phone also received complaints for its relatively lengthy dialing time and delays in conversation. Soldiers are permitted to desecrate Shabbat when necessary for security reasons, due to the precept that Shabbat laws may be violated in order to save a life. However, the rabbinate works to minimize Shabbat desecration whenever there is an option to do so. Israel National News turned to Rabbi—and engineer—Yisrael Rosen, well known head of the Tzomet Institute for Halacha and Technology based in Gush Etzion, to get his reaction to the new technology. This is wonderful news. Hopefully the same technology will quickly be available for frumme yidden in the U.S. so we can have a cellphone available for emergencies when we go to daven on shabbos and yom tov. This would be especially important for older yidden and those with little children. It would still be assur to use such phones in shul while davening. can i use this for business on shabos? Only in an urgent matter. Otherwise it would probably considered "malacha" and would not be consistent with the spirit of shabbos kodesh. Does the fact that you can ride in an ambulance cause people to show up to shul in one every week? If people are so ridiculous that they're going to look for any kula possible, then maybe they have other issues to work out with their yiddishkeit. Former IDF Chief Rav Ronsky was an amazing talmid chacham and had a huge impact on religious and secular soldiers through his work increasing the visibility of the IDF rabbanut. in case of emergency no matter what it is, if its for saving life you can use any phone on shabbos, no need this one. this one phone is for "regular conversations", like you can call your friends or anything, its just a way to used a normal phone according to shabbos law so soon we will use internet and phone and anything like this during shabbos ! “ in case of emergency no matter what it is, if its for saving life you can use any phone on shabbos, no need this one. I was also wondering. What is muter is anyway muter and a chiuv to save lives. I never thought that voice activation was not a m'locho. Yes any phone can be used in case of an emergency, but no this is not meant for regular conversation. Just because you can use any phone doesn't mean you cannot have a system in place that minimizes the desecration of shabbos, and that is what these phones are designed for. If you have a high propensity to use a phone on shabbos have this one in place. It's a very dangerous thing for Halacha. It's an open door for Chillul Shabbes if used by wrong peoples and it will give bad ideas to people who are not frum yet (they may use it as an excuse to be mechallel shabbes). 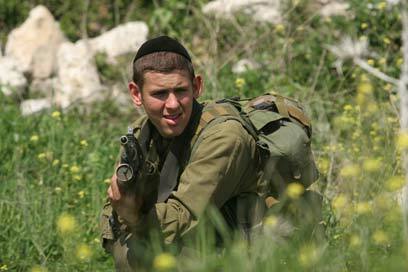 As a former IDF soldier, I see a lot of misconceptions about the army coming through in a lot of the posts here. If is absolutely permissible to use phones, radios, car, jeeps etc. on Shabbat in the army if used in an operational fashion. To make sure that no one tries to get "too frum" about it and possibly endanger someones life inadvertently, the Rabanut is very clear in stressing that anything and everything may be done if it cold potentially save a life. If new technologies are coming out that allows religious soldiers to fulfill their duties to the fullest and make their (unavoidable) chillul Shabbat less severe, I say go for it. When people use phones in shul, to borrow from the song, g-d will say "..I'm kinda busyy".. Next time there is a (summer) tragedy, think about this. No, you can not. Read the article. It may NOT be used except for genuine emergency situations, such as those encountered by soldiers, doctors, EMTs, etc. It makes use of heterim that are NOT available for ordinary purposes. And of course it is forbidden to do business at all on Shabbos, even without a phone! Business?! No matter how urgent it is, it may not be done on Shabbos even without a phone! Certainly there would be no heter to use this phone for it. You have no idea what you're talking about. And you're obviously too illiterate to read the article, which clearly says that this phone can NOT be used for "regular conversations". It's only for situations where Chazal relaxed the laws; if you're not sure whether you're in such a situation, ask a rov. “ I was also wondering. What is muter is anyway muter and a chiuv to save lives. Even for pikuach nefesh, shabbos is only דחויה, not הותרה. If there is a way to minimise the chilul shabbos, one must do so. This is a clear halacha in siman 328. And there are many situations that are not pikuach nefesh, so chilul shabbos would not be permitted, but there is enough urgency that something like this would be. For instance if someone's health is in danger, but not his life, one may NOT call it "pikuach nefesh", but Chazal relaxed many issurim derabbonon. Hmm, maybe it's also a dangerous thing for halacha to allow driving someone to hospital on Shabbos, because maybe someone else will drive to the beach? And maybe it's dangerous to allow someone to eat on Yom Kippur because others will also eat without a heter? The fact is that halacha sets guidelines and limits, and also lays out exceptions and sets different limits for those cases.